So today’s post is part one of a very fun (if we do say so ourselves) two part blog special just in time for spring. Why two parts, you ask? Well being generous we decided rather than shock your senses with the biggest post you’ve ever seen, involving some serious diy (we’re talking hot glue here people) and some baking, and totally overwhelming you in an already stressful season, we’re going to break it up into two, today and Thursday (we rest on Wednesdays haha) so you can fully appreciate the beauty. Holy run on sentence. Anyways, so basically part one is how to make the decorative aspect of what will be the most show stopping dessert you can ever bring to a party. 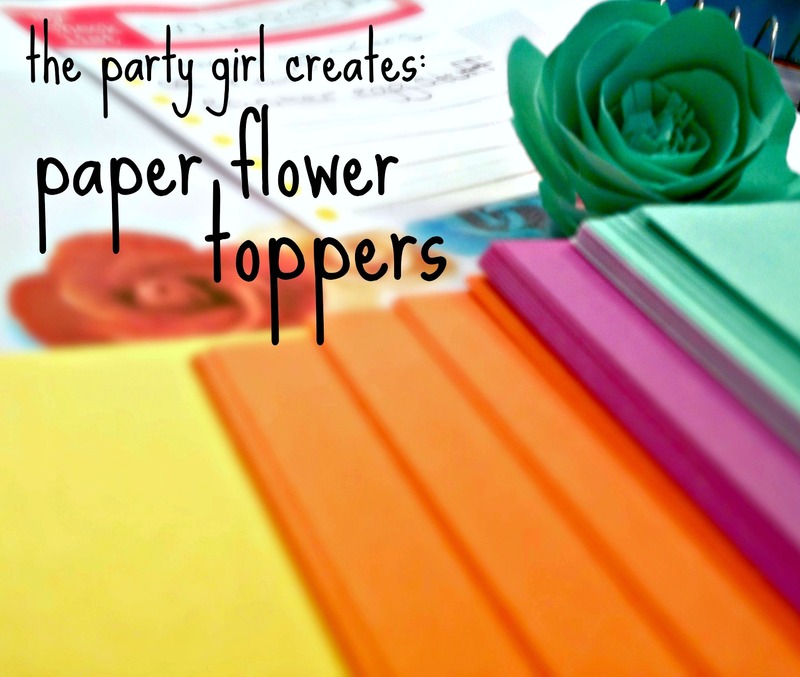 Plus being able to make paper flowers is a useful skill! Not only is it perfect for some dessert toppers to wow your guests, but you can also make bouquets and wreaths and who knows what else (we’ll work on that list another time!). So let’s go Party Girls! You’re going to need to grab yourself a paper cup or mug. I snagged one of these little coffee cups from my office kitchenette because they are unquestionably the widest cup you’ll ever see, which makes it easier to roll your flower later. It’ll work with any size though, and once you get good you’ll be able to see how different cups/sizes can change the way your flowers look. Flip the cup upside down on your paper. 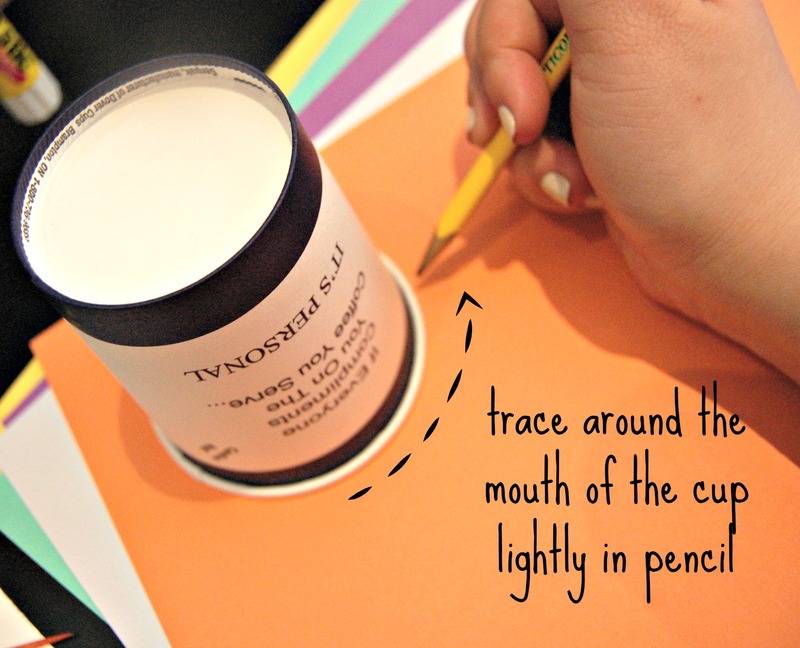 Use a pencil to lightly trace around the rim. Keep it light so you can erase the pencil marks later. 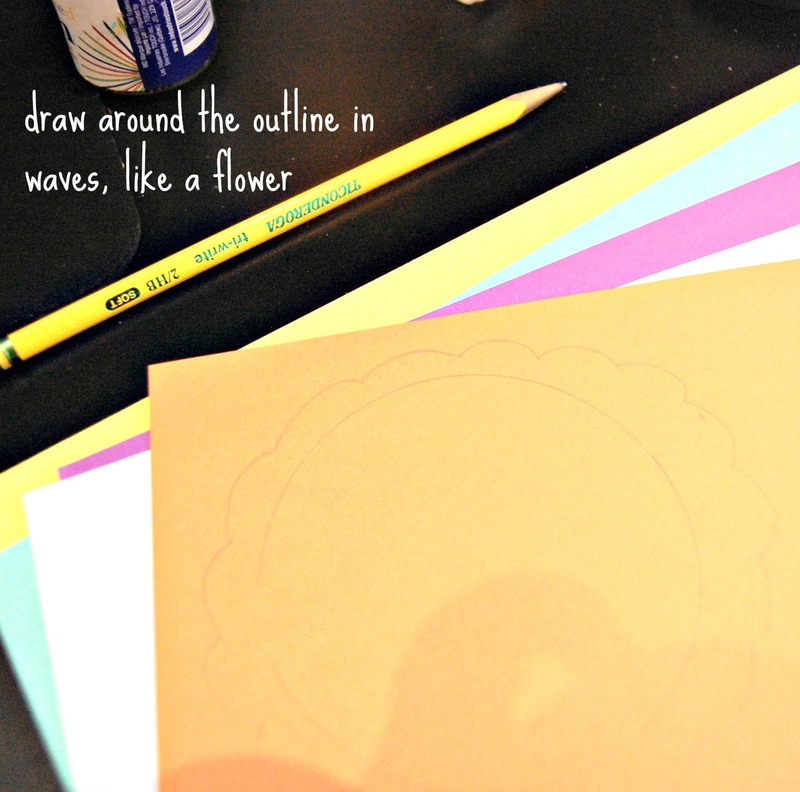 You want to make your shape sort of look like the type of flower a five year old draws. Keep your hand really loose, you can see how parts of my flower look sharp on the down strokes and that’s not what you want. You want it to me more wave-like than bubbles. Basically if you can get the shape above you’ll do fine though. 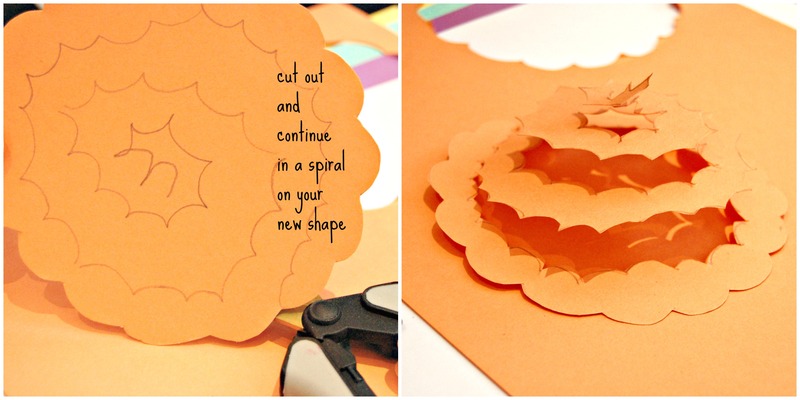 Cut out your shape and continue the waves in a spiral as seen above. Don’t stress about how to end it in the middle (waves get really confusing when you’re going in a circle) you’re going to cut that part off later. 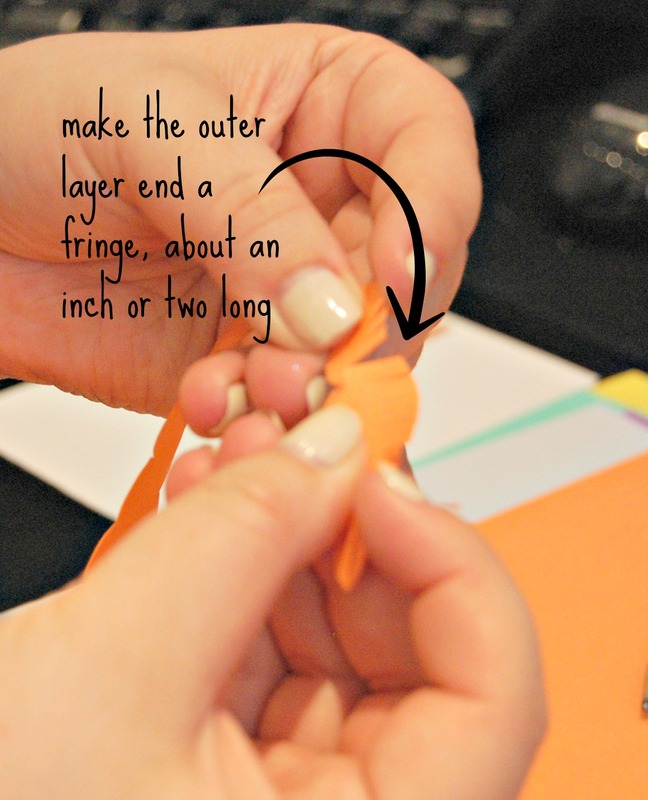 Use your scissors to make a bunch of cuts on the outside end (where you started cutting your spiral) about an inch or two long, making a fringe. This is going to be the middle of your flower. Holding the fringe facing up, start rolling tightly, twisting the spiral around as you go. 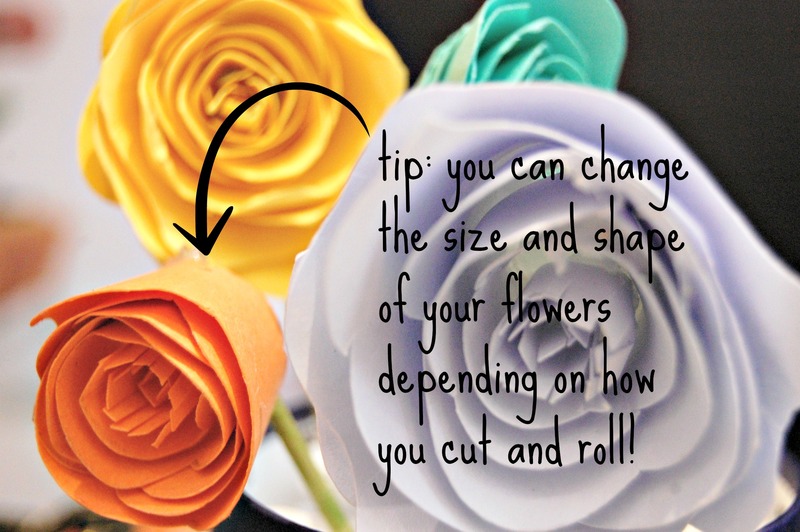 This may sound confusing but as your start to roll you immediately see how it’s going to look like a flower and you instinctively start adjusting, it’s like your brain giving you a beautiful diy gift. When you’re finished rolling your flower (this one was a rose because I left my outside a bit sharper like I showed you in step one, the looser you make your waves the different shapes your flowers will be), you’ll know because you will have a section from the middle that won’t twist properly. Cut that piece off. It’s different lengths depending on your size and shape of the flower. It’s weird but just trust me. 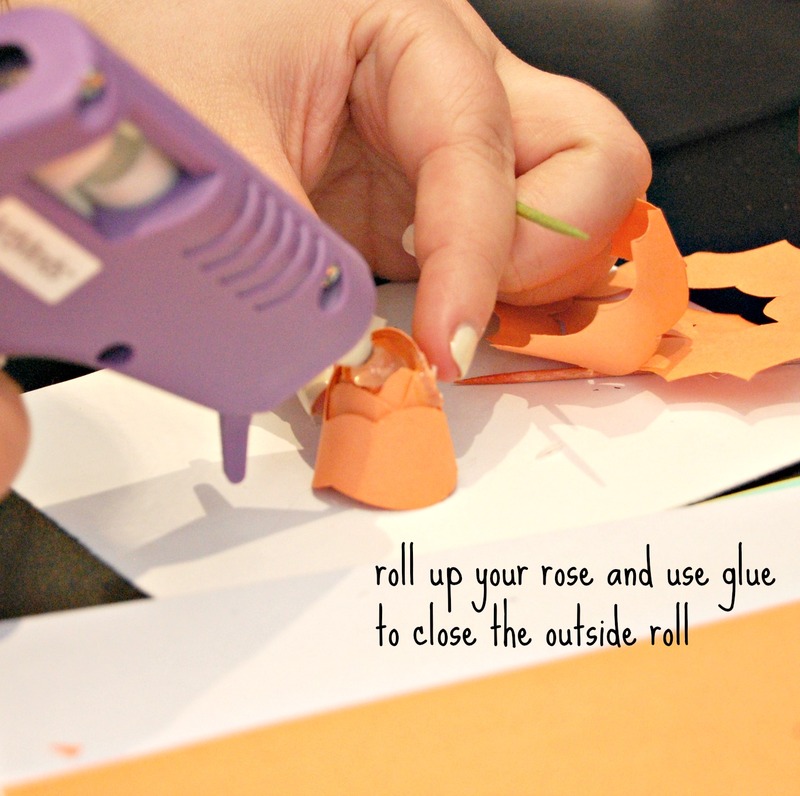 Use glue on the outside to seal the roll. Add a dab of glue at the top to sort of seal together the different layers. 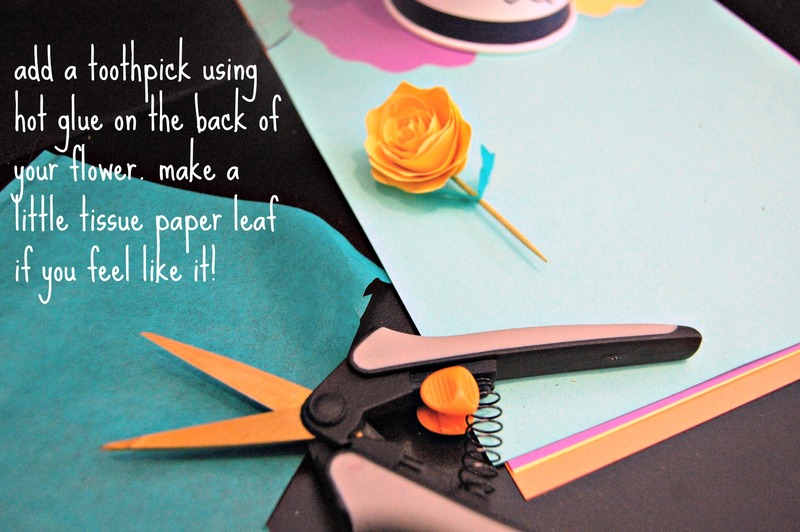 Or skip this step if your flower seems secure, you’ll add glue for the toothpick later anyways. If you added glue in step 5 you can just add a bit more to attach the toothpick. If you didn’t, you’ll want to spread your glue around more and then push the toothpick into it. I added another dab of hot glue on top of the toothpick, but depending on your glue that might not be an option. You want it to be secure enough to stand up vertically, and the flowers can have some weight to them, so consider that when choosing your glue. 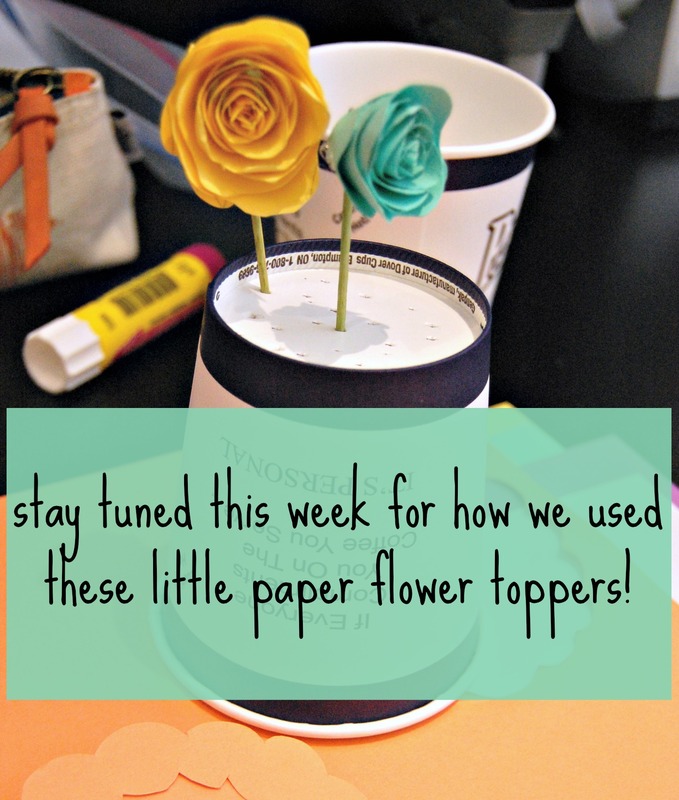 I used a glue gun and I didn’t lose a single flower. I added some tissue paper leaves to my flowers because I had a pretty shade lying around and I thought, why not? I basically just cut long rectangles and impaled them on the toothpick, pinching the ends of each “leaf” to make them pointed. I didn’t add glue because the tissue paper just stayed there, but you could maybe use some little craft glue if you want to be safe. And that’s all! Don’t they look sweet? I made about 12 of them in all sorts of different shapes and sizes, and using different coloured paper. Make sure to check back on Thursday to get part two of this spring themed dessert!